The warmth of spring reawakens the roar of nitro-fueled HEMI® engines at the drag strip. Do you hear it calling? 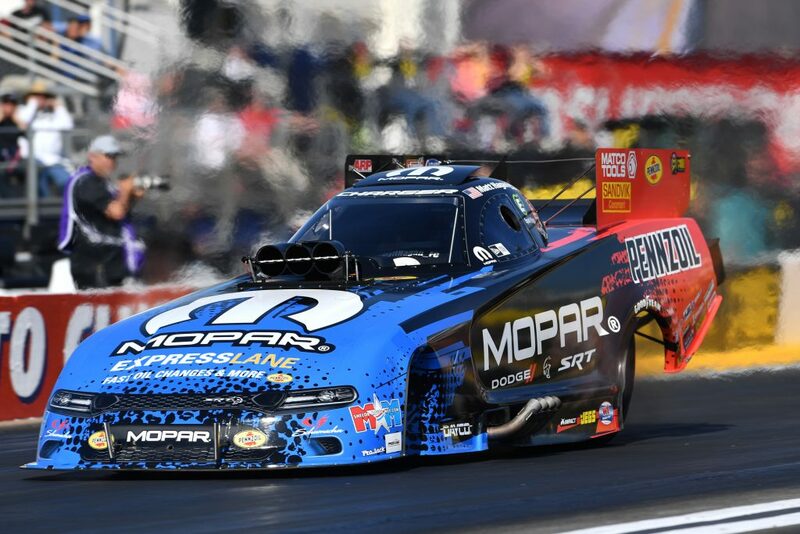 The Mopar and Dodge//SRT drag racing squad rolls into Houston this weekend for the Mopar Express Lane NHRA SpringNationals Presented by Pennzoil. After four events in the 2019 NHRA season, Funny Car driver Matt Hagan carries a victory collected in Phoenix, while teammates Jack Beckman and Tommy Johnson Jr. notched runner-up finishes. The Mopar-backed Funny Car drivers of Don Schumacher Racing (DSR) continue to learn the nuances of the new Dodge Charger SRT Hellcat body that debuted last summer at the Denver race. 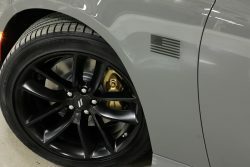 The new body incorporates a larger front splitter for more aerodynamic downforce and side scallops that more closely resemble the production Charger SRT Hellcat to enhance on-track function and performance. Heading into Houston, the DSR teammates rank 2nd, 3rd, 5th and 8th in the Funny Car point standings. In the Top Fuel class, Leah Pritchett ranks 4th after four events and put her dragster into the final round in Phoenix, but smoked the tires at the start. Pritchett is also defending her 2018 championship in the Factory Stock Showdown series, running a Mopar Dodge Challenger Drag Pak. Round two of the 2019 Factory Stock Showdown is set for April 26-28 at the Four-Wide Nationals in Charlotte, North Carolina. While the top classes get much of the spotlight, Mopar and Dodge are also making a push in the Sportsman classes, awarding $500 to Stock Eliminator and Super Stock drivers who advance the furthest behind the wheel of a Mopar-powered Dodge, Chrysler or Plymouth race car at all 24 NHRA national events. The thrill of being around performance machinery can be more than just a weekend pastime. In Houston, Mopar launches its “Assemble Your Future” initiative for service technician students in the Mopar Career Automotive Program (CAP). “Assemble Your Future” brings students to the race track to meet Mopar drivers, such as Hagan and Pritchett, and links them with FCA dealers looking to hire for their service departments. For fans of Mopar, Dodge and performance, it’s hard to beat the experience at an NHRA race. The open pits make it easy to watch the DSR crews quickly and expertly rebuild a Funny Car or Top Fuel dragster engine and test fire it before the next run down the track. Drivers are accessible and regularly hold autograph sessions. Take a look at the NHRA schedule and pick a track near you. It will be a Mopar and Dodge weekend you won’t forget.